Children’s Miracle Network Hospitals icon balloons have landed at IHOP locations across the United States and Canada! Beginning on February 1 through February 27, IHOP restaurants in Orange, Seminole, Osceola, Brevard, Flagler and Volusia counties will be selling icon balloons in increments of $1, $5, $20 or $100 to show support for Arnold Palmer Hospital for Children. Guests who purchase a $5 balloon will receive a $5 coupon to redeem on a future purchase – the ultimate give back, get back! 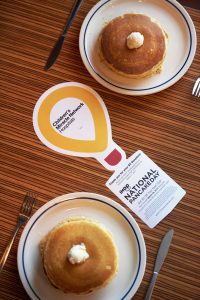 All the money raised by IHOP for Children’s Miracle Network Hospitals stays local and goes directly to the areas of greatest need, which can include providing life-saving medical treatment and healthcare services, purchasing pediatric medical equipment or providing charitable care for children in need. Funds raised help kids like Kylie, who was born with a Congenital Heart Defect. Requiring three operations before she was three years old, The Heart Center at Arnold Palmer Hospital for Children had everything they needed to help save Kylie’s life thanks to support from funds raised by CMN Hospitals. Can’t make it to IHOP this month? You can still join in their efforts by making a National Pancake Day Donation Online here. 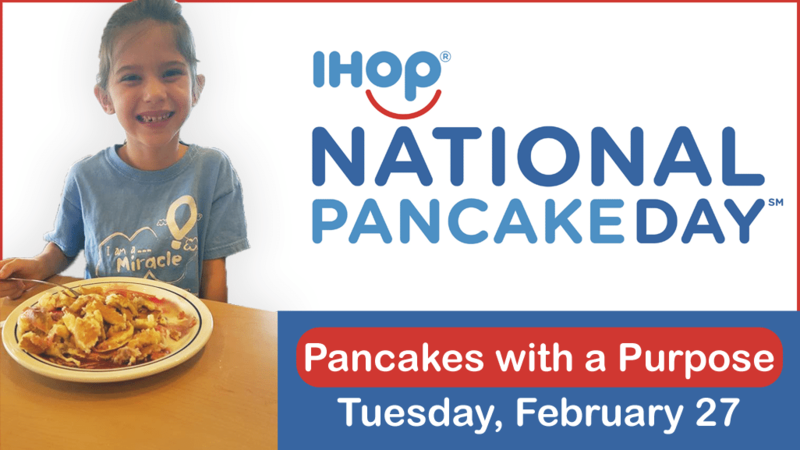 To celebrate National Pancake Day, visit IHOP on Tuesday, February 27, to enjoy a free short stack of buttermilk pancakes and then make a donation to your CMN Hospital. Invite your friends and family to join in the fun and share your support of your local children’s hospital on social media using #NATLpancakeday. To mark IHOP’s 60th year in business, IHOP has set an ambitious goal of raising $5 million for children’s hospitals and medical research through March 31 – plus serving a record-breaking five million pancakes on National Pancake Day.